DEPUTY Chief of Mission John McIntyre has identified better legislation as the solution to fighting terrorism in Trinidad and Tobago. 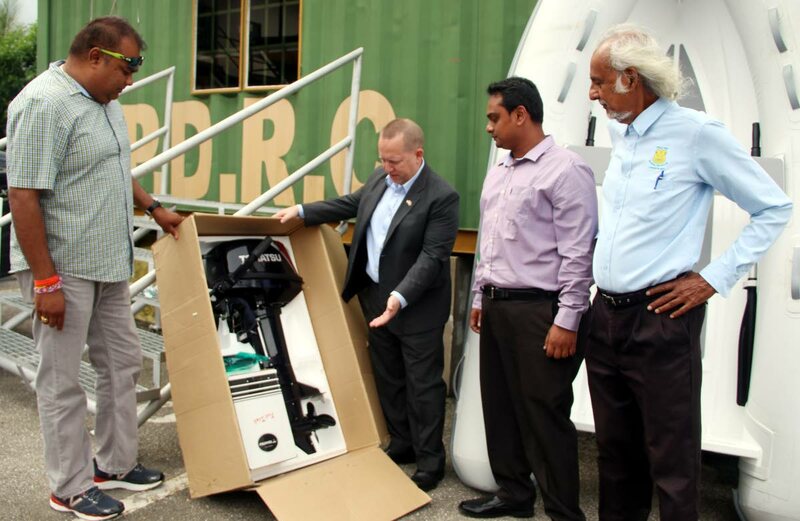 He made the observation while fielding questions during the official handing over ceremony of two shallow search and rescue water craft donated by the United States Embassy to the Penal/Debe Regional Corporation (PDRC) yesterday. Asked whether TT and the region had sufficient laws to deal with terrorism, McIntyre said, “No. I know there is a debate coming up on the Anti-Terrorism Amendment. He said the US government will continue to work with both government and civil society on the issues of counter-terrorism and violent extremism. McIntyre also applauded the passage of the anti-gang legislation saying this would give the protective services more legal tools to fight crime. “I think any time you change the legal structure to allow the authorities to have more tools at their disposal to deal with the issue, that’s great,” he said. Asked whether Trinidad had become “uninviting” due to its crime situation, he said, “no and the thing is it’s the exact opposite and I said that before, we find that partnership with the government and also the Opposition as well as civil society, is one of the best. “You all have to realise we consider Trinidad and Tobago a regional leader, it’s why we have put so much effort in, it’s why we are here today on disaster response. We are your best long term partner, we are here for the long haul. We are not trying to take stuff from you, we are your partner,” he said. Reply to "Better laws needed to fight terrorism"